It seems that the tradition grew out of the Feast of St. Francis of Assisi. I could not find a date for when the first one might have occurred. They are normally held in October. This celebration evolved into honoring our beloved animal companions. 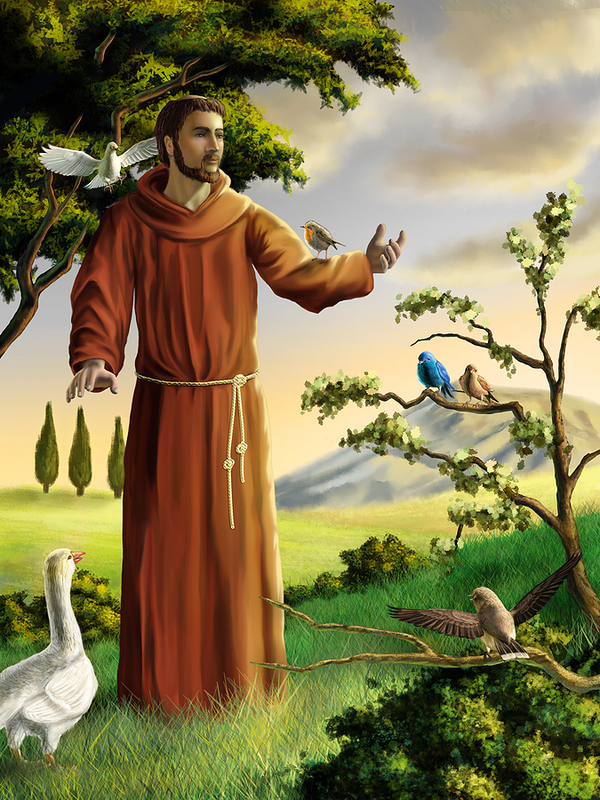 St. Francis is the patron saint of animals and ecology. After his death in 1226 many stories associated with animals sprang up. These included a few legends documented in "Fiuretti" (Little Flowers). One of the most well known is St. Francis' prayer to the birds. according to Thomas of Celano, Francis was walking along a road with some companions, where he came upon tree filled with many species of birds. Amazed by what he saw he asked his companions to wait while he preached to his sister birds. The birds surround him to listen. 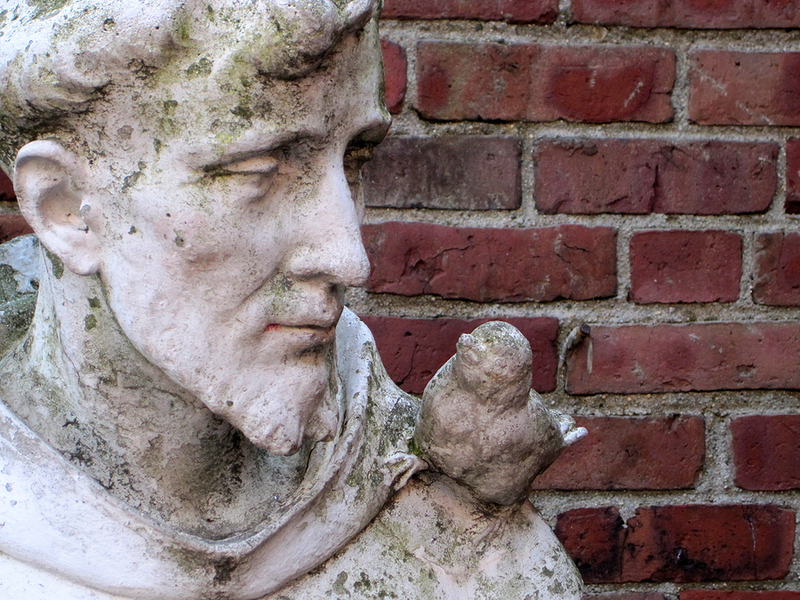 The birds stretched their necks and extended their wings to allow Francis to touch and bless them. From this day on he vowed to invoke all birds, animals, and reptiles to praise and love their creator. 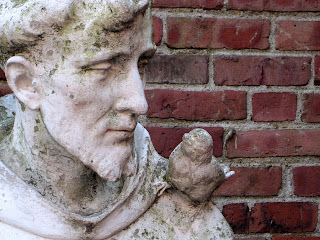 St Francis emphasized that creation included more then humankind. His connection to animals so strong, it has been said that on his deathbed he thanked his donkey for carrying him and helping him throughout his life. As he passed, his donkey wept. You probably know his image as the statue with the bird on his shoulder. Now I know why that bird is there. In our modern times, we seem to come out with our faithful fury family members to honor their life and offer them a the peace of the blessing we feel. The tradition is not just for Catholics. If you google to find a pet blessing near you, you will find that all faiths and denominations have them. I found the day to be enjoyable and peaceful. I met dogs, cats and a few birds all happy to be spending their day with their humans. Not only the animals present were honored, but the ones who had crossed over the rainbow bridge. I reflected on my own furry kids and all the joy they have added to my life. I am blessed by pets.